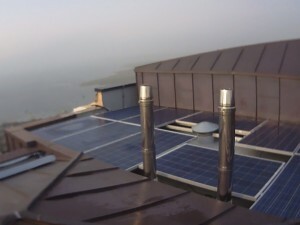 Below are several testimonials and case studies regarding our solar heating service. 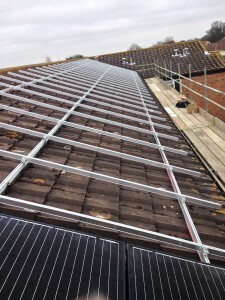 Please read through them to see what solar heating options we have provided for our customers, and read what they think about our solar heating products, installation service and their innovative use. 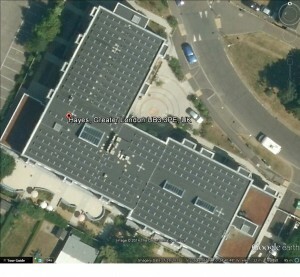 The above image shows Broomfield School in Enfield, we are currently undertaking a 12 month project. 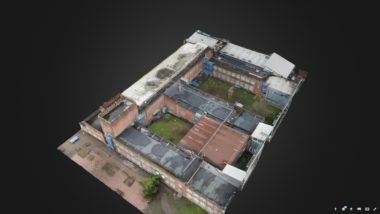 We carried out a drone surveyÂ with the permission of the school to carry out a 3D survey. 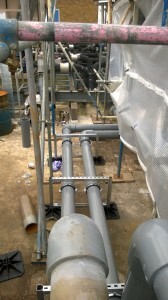 Replacement of all pipe work using stainless steel and Xpress copper throughout. 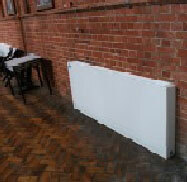 We are also replacing the radiators within the SchoolÂ with Jaga. 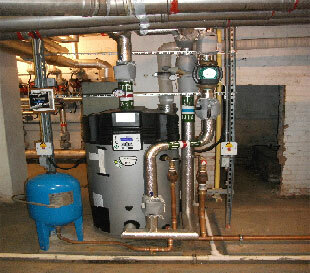 We plan to install Viessmann boilers in the Boiler House with all new water heaters , pressurization units etc. 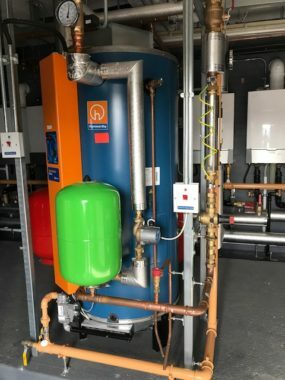 During April we Installed on behalf of Mitie-Â 2no Remeha Quinta Pro 65kw boilers , withÂ all new Stainless Steel Pipe work, expansion vessel and pressurization Unit. 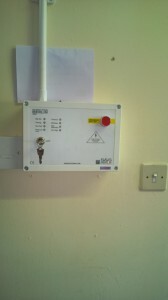 The BMS System was renewed in its entirety. 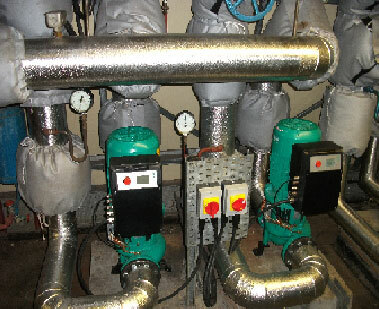 Witham Library â€“ Renewed the Boiler House Plant room with 2no Remeha boilers on a cascade with all new pipe work in Xpress Stainless Steel, Wilo Pumps and Pressurisation Unit, with the renewal of the BMS system, we also installed 6no Force flow fan convectors throughout the library. 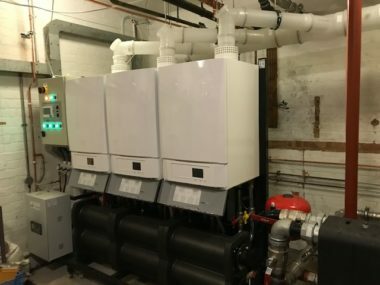 Woodlands Resource CentreÂ â€“ Renewed the boiler house plant room with 2no Remeha boilers on a cascade with all new pipe work in Xpress stainless steel, replacement Grundfos Heating and hot water pumps, with all new BMS controls. 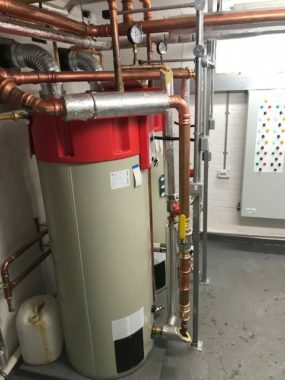 Canvey Library â€“ Installed 1no Remeha boiler with all new pipe work, Grundfos Pump and pressurisation unit, with all associated electrics including new lighting, Gas detection system and solenoid valve. 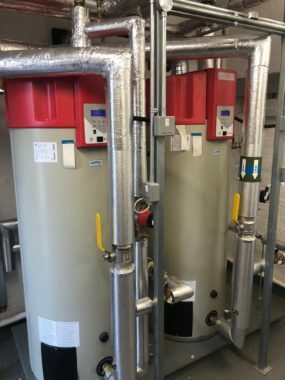 Canvey Resource Centre â€“ Renewed the boiler plant room and installed 2no Remeha boilers on a cascade with Wilo Maxo Pumps, Gas solenoid Valve, Pressurisation Unit, Expansion Vessel and overhaul of the BMS System. 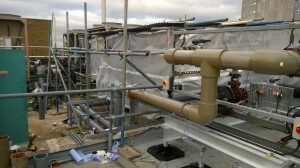 During the second part of the year we began regular work at Southend University Hospital. 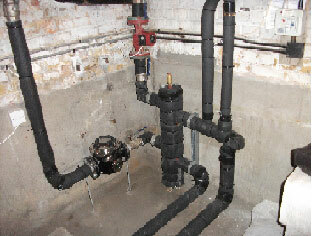 Stripping out existing pipe work and services and renewing with new, this is an ongoing project. 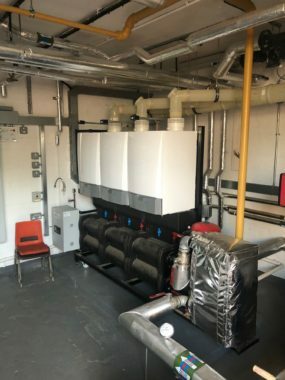 We are currently in the final stages (August 2017)Â inÂ completing the renewal of full heating and hot and cold water installation at Friars Grove School, Colchester.Â This consisted of 3no Remeha Boilers with new flues, 2no Lochinvar Water Heaters, all associated pumps and Fan Convector units. 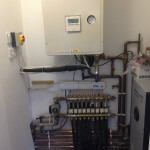 This Project was run alongside the renewal of the heating system at BroomeGrove School in Wivenhoe. 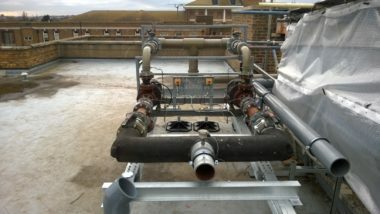 New pipe work and Autron Low surface Temperature Radiators were installed throughout, Fan convectors were also installed in the school. 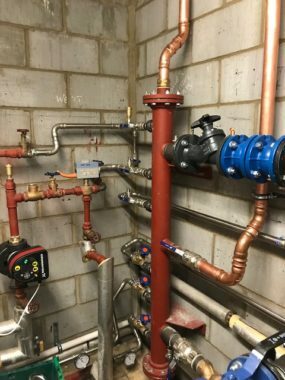 Due to commence in September 2017 we have been chosen as the main contractor at The Kings Chapel in Fulham, London. 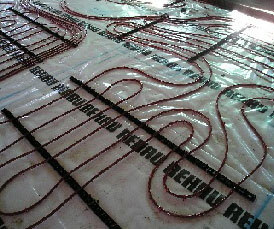 The design is to convert a chapel into 2 new houses and we are undertaking the mechanical works on this high end project. 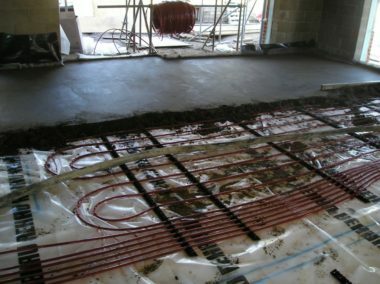 Broomfield School, Enfield is another project due to start this year; the work is based on a 24 month project, completely renewing heating and water services and the installation of 400+ radiators situated throughout the school. 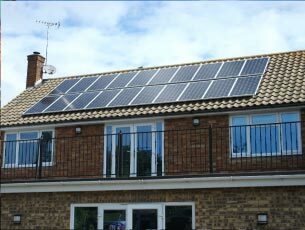 Installed in June 2011, a 4kw south facing A-Sun Photovoltaic system. 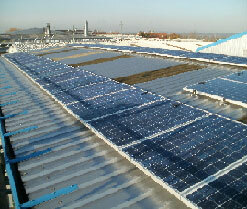 This is giving a cash back incentive of over Â£1500 per year, for 25 years and free electricity during daylight hours. 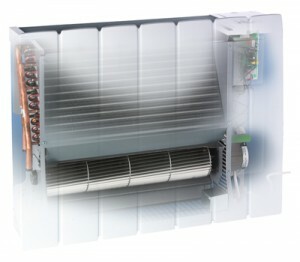 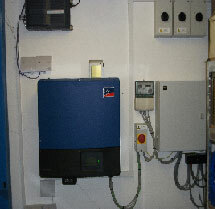 The inverter a 4 kw Nedap, has wireless connection and allow you to monitor the systems performance from a computer anywhere. 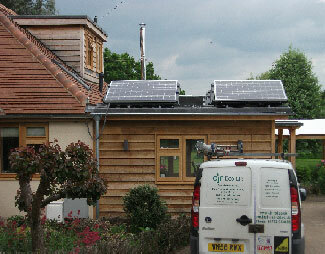 Installed in June 2011, a Tisun 2 panel solar thermal hot water system which heats a 300 litre solar cylinder. 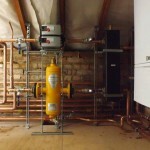 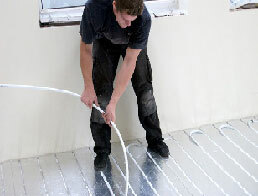 The client will get over 60% of their hot water requirements from the solar thermal panels. 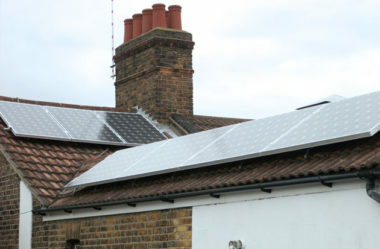 A one off payment of Â£300.00 is available and the Renewable Heat Incentive will announce further â€˜Fitsâ€™ (grant) next year which you will be able to backdate. 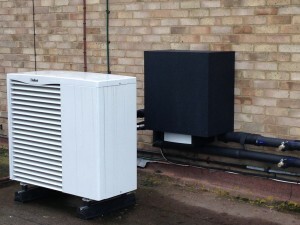 Installed in May 2011, this is a 2x 6kw Daikin air to water heat pumps â€“ 2x pressurised cylinders (200 and 300 litres)The heat pump is also supplying 3 floors of underfloor heating. 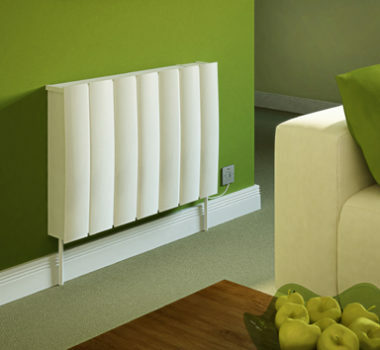 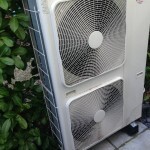 The heat pumps run at 250 â€“ 300% efficient. 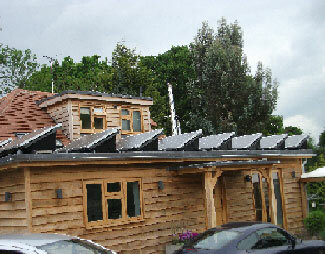 Installed in July 2011, a 2.5 kw photovoltaic system. 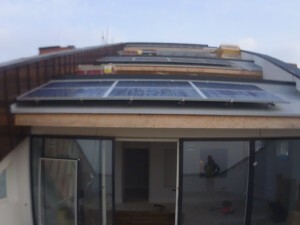 To utilise the all the available roof space the Sharp panels have been fitted landscape and portrait. 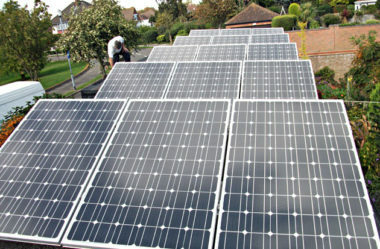 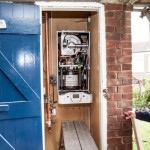 The system will give a cash incentive of approximately Â£1000.00 per annum and free electricity during day light hours. 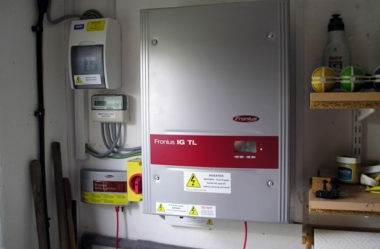 The inverter used is a Fronius, and allows you to monitor the system from a computer anywhere. 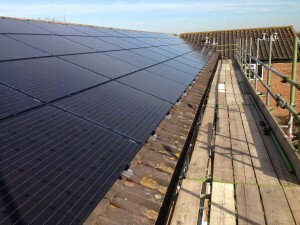 A 4kw Photovoltaic system was fitted in the new office block, also Underfloor Heating installation was installed at Treefellas in Wakering, Essex. 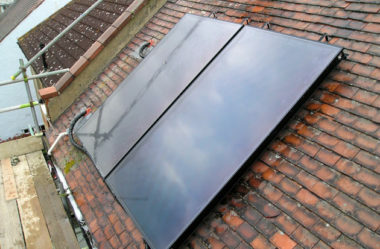 Installed in September 2011, a Valliant 2 panel solar thermal system which heats a 250 litre solar cylinder. 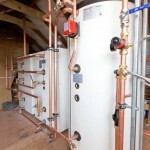 The client will get over 60% of their hot water requirements from the solar thermal panels. 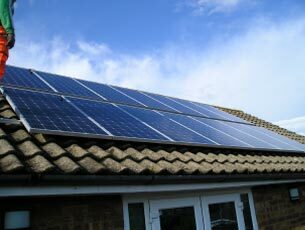 A one off payment of Â£300.00 is available and the Renewable Heat Incentive will announce further â€˜Fitsâ€™ (grant) next year which you will be able to backdate. 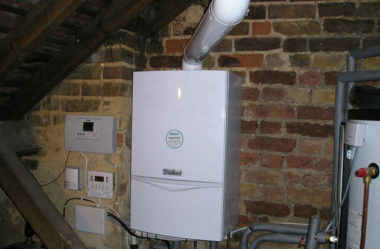 We also fitted in this property a Valliant Ecotec Plus 624 condensing system boiler, with thirteen Stelrad compact radiators complete with Honeywell thermostatic radiator valves and controls. 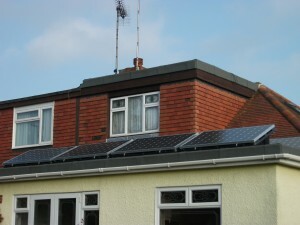 This 3.5kw system was installed in Sept 2011, the Sharp panels have been fitted on a garage roof with Schuco â€˜Aâ€™ frame system. 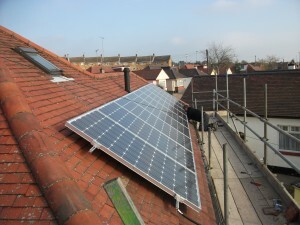 Then the panels have then been screened behind trellis, to not affect the outlook of the garden. 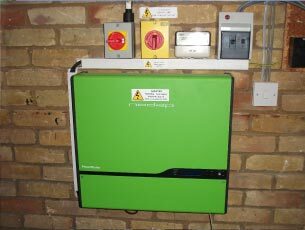 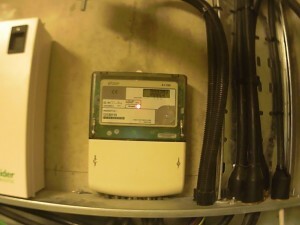 A wireless Fronius inverter has also been fitted to allow the system to be monitored from the house. 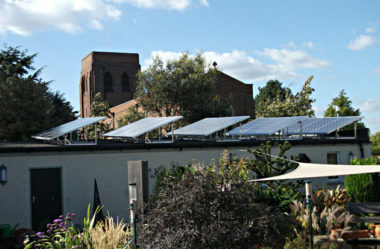 This church has stood since the late 1800?s and required a heating system with a sympathetic design, which we undertook. 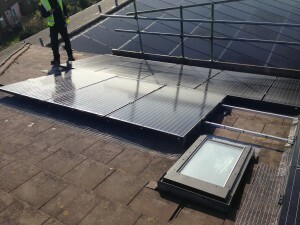 This involved working closely with the church committee, dioceses and architect, Christopher Langstone. 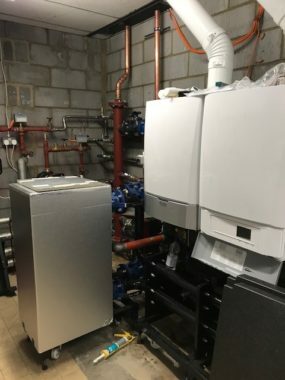 The two Ideal Evomax 80kw boilers were installed loft area, feeding 26 low surface temperature radiators, over three floors, on three different timed controlled zones. 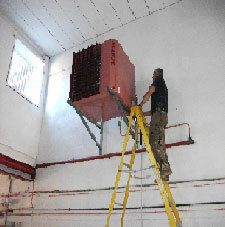 In addition, three destratification fans, were hung from the oak beam, in the mains church to push the warm air back down. 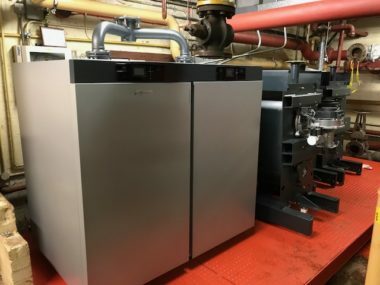 Ideal Imax 60 kw condensing boiler with 300 litre mains feed indirect cylinder â€“ Grunfos pumps and Honeywell controls.Â Feeding the kitchens andÂ staff rooms for heating and hot water. 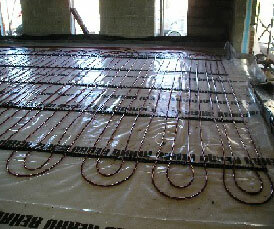 Under floor heatingÂ installation at new build extension to school. 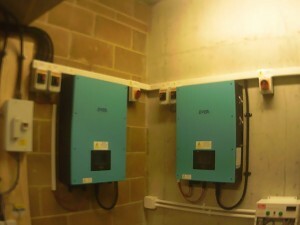 10KW Photovoltaic System, on a three phase electrical supply. 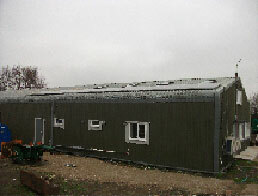 Fitted in December 2011, With an estimated yielding ofÂ approximately Â£3800. 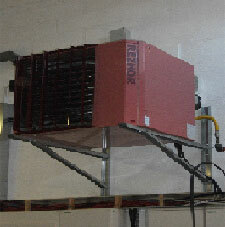 This factory unit required two Reznor heaters and worked in conjunction with two destratification fans, to ensure the heat was recirculated in the area. 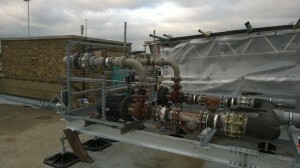 60 meters of 2 inch gas mains was run. 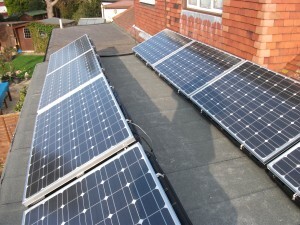 4KW PV System on a flat roof, with rensol boxes. 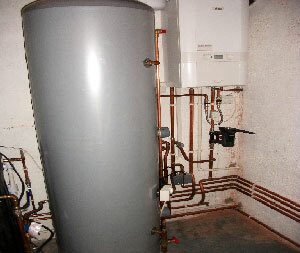 New system Boiler, 300 litre mains feed cylinder.Â Grundfos booster.Â Magna Clean. 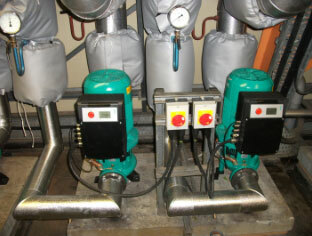 New pumps fitted connected to new BMS. 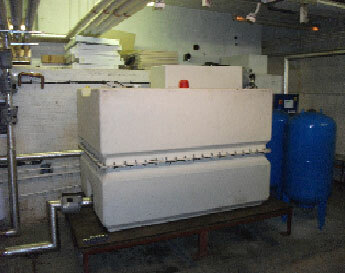 2000 litre stored water break tank. 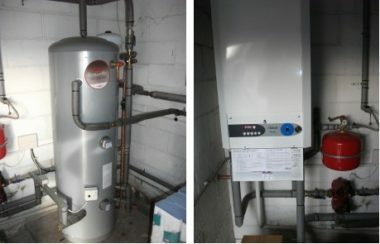 New A O Smith Direct fired water heater. 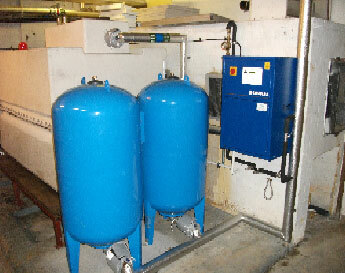 2x 500 litre expansion vessels, Pressuration unit. 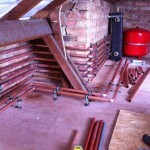 Over 2000 meters of copper tube were fitted, replacing the entire repipe of cold, pumped cold, hot and secondary return. 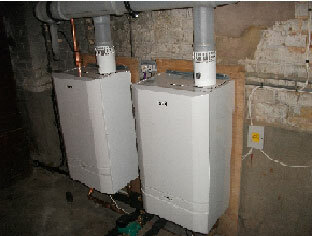 Recently completed job of a communal heating system fitted in the loft space of 6 flats and 2 adjoining bungalows. 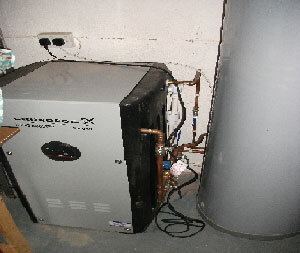 A Baxi CHP Unit and a BluGen CHP Unit. 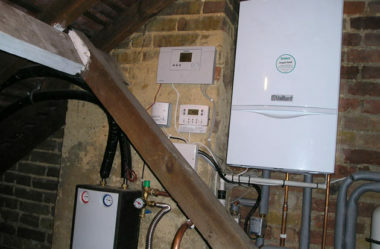 With a Vaillant Condensing System Boiler as back up. 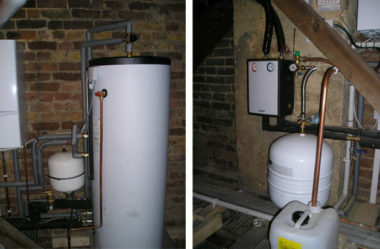 300ltr Buffer Tank and 2x 300ltr Square pressurised cylinders. 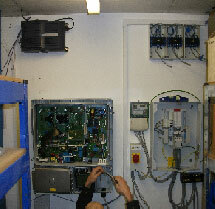 Control panel with all associated controls, pumps, pressurisation unit, expansion vessels, Gas run with Gas Solenoid Valve. 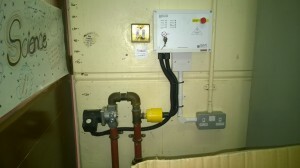 New pipework to all flats and bungalows with all new controls and switch2 monitoring equipment for ease of billing. 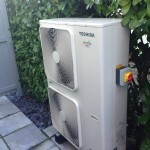 14kw Toshiba Estra , Air to Water Heat Pump serving 300ltrs mains fed cylinder with a 200ltr Booster set. 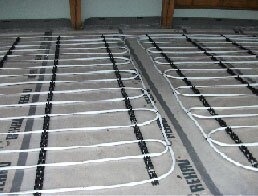 3 floors of Underfloor Heating, all drainage and Hot and Cold. 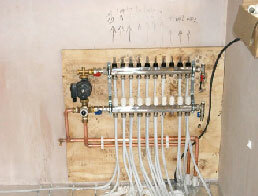 4 en suites and 1 main bathroom , 1 kitchen , 1 utility and one downstairs cloakroom. 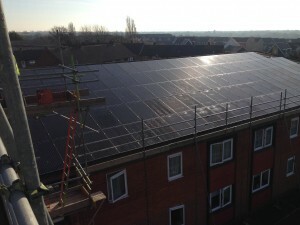 New build of luxury purpose built flats in which we installed a 25kw Solar PV system for the whole building, completed September 2014. 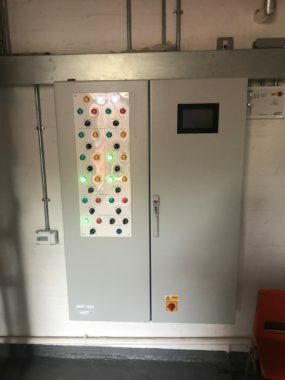 On behalf of Hillingdon Council we had Triscott House which had a 67.2kw system, Hayes End Library with a 20kw system and Adelaide House which had a 6kw in system. 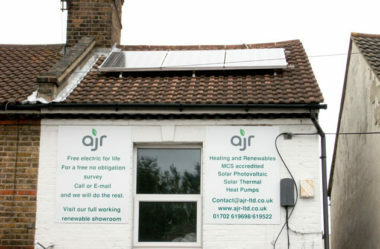 In which we tested each site, recommissioned and re registered them. 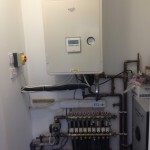 In November 2014 we installed a Vaillant AROTHERM 5kw Air to Water Heat Pump with buffer tank situated on roof of community room. 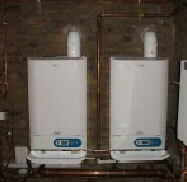 Installed 4x Myson Eco Radiators with 2 mains fed Ariston Hot Water Heaters. 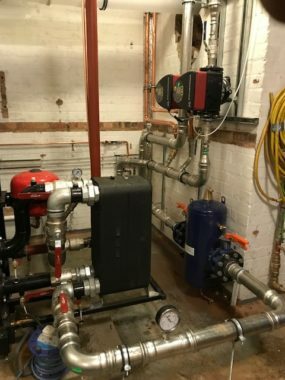 In January 2015 Â we completed the relocation of Air handling Chiller Pumps and Pipe Work for installation of new theatre lift. 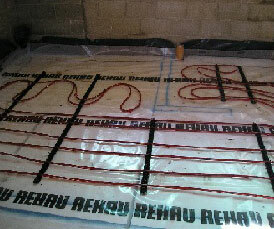 We’ve inhibited the system with Glycol and re-lagged new ABS pipe work. 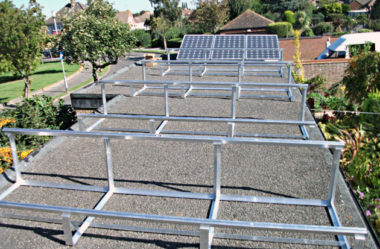 A 47KW PV system on 4 roofs Â with 3 inverters, Internet and Remote Access for FITs Payments â€“ Solar Panel Mesh for the prevention of bird nesting. 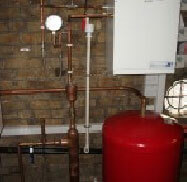 In march 2015 we installed Gas Proving Systems supplied by S&S Northern ( Merlin Range). 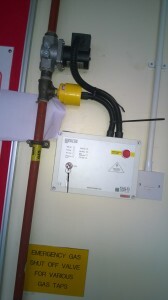 The panel is to be used to carry out a Gas Proving Test on the Pipe Work in order to highlight if there is a gas appliance open or a leak Â i.e Bunsen burner left on in a Science Classroom). 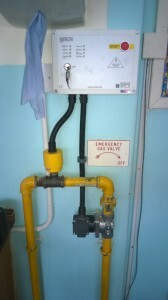 These were fitted in every classroom that had Gas installed.